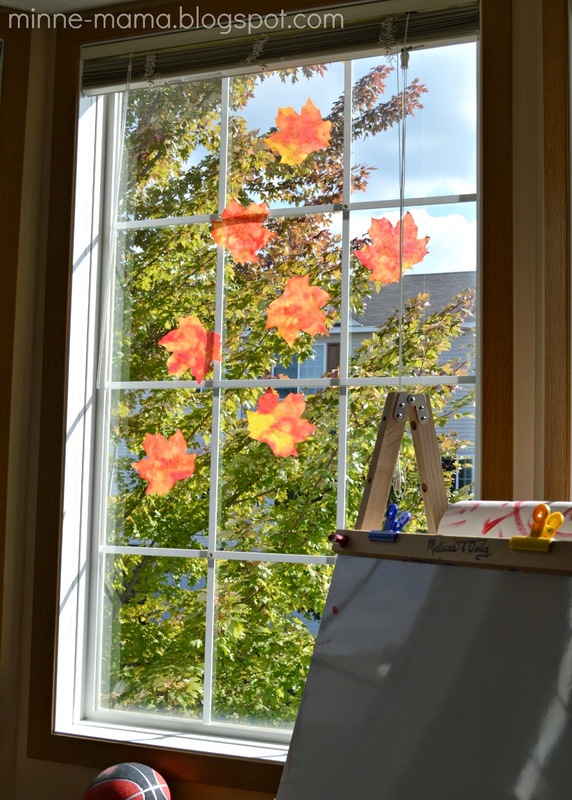 We have been enjoying some fall decorating around our house. 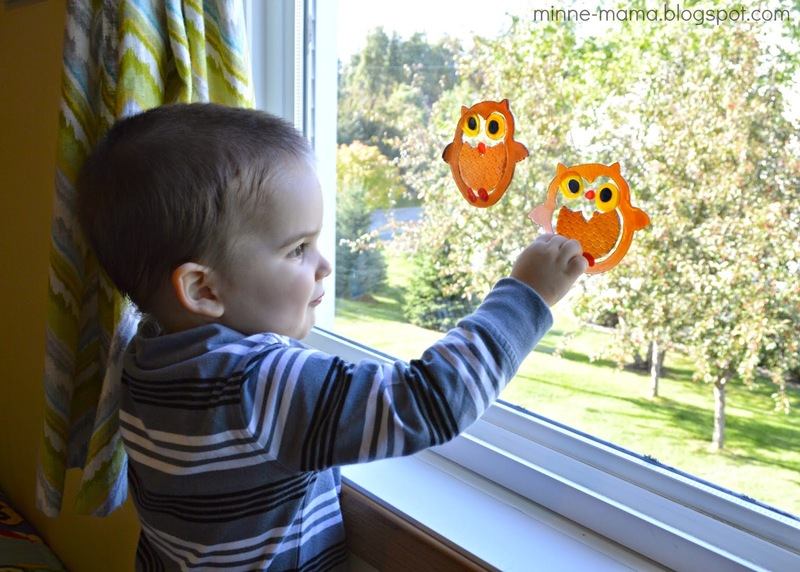 We made Fun at Home with Kids beautiful leaf suncatchers and Skyler put up decals on his windows all on his own! It has been awhile since we had anything on our dining room window, so I decided it was time for a new contact paper play scene. You can see our Christmas Tree, Valentine Heart, Tissue Paper Rainbow, and Easter Egg Basket from past months. Many trees have started changing colors around our house and we always talk about the colors as we walk or drive around. I knew Skyler would enjoy his own little tree to decorate. 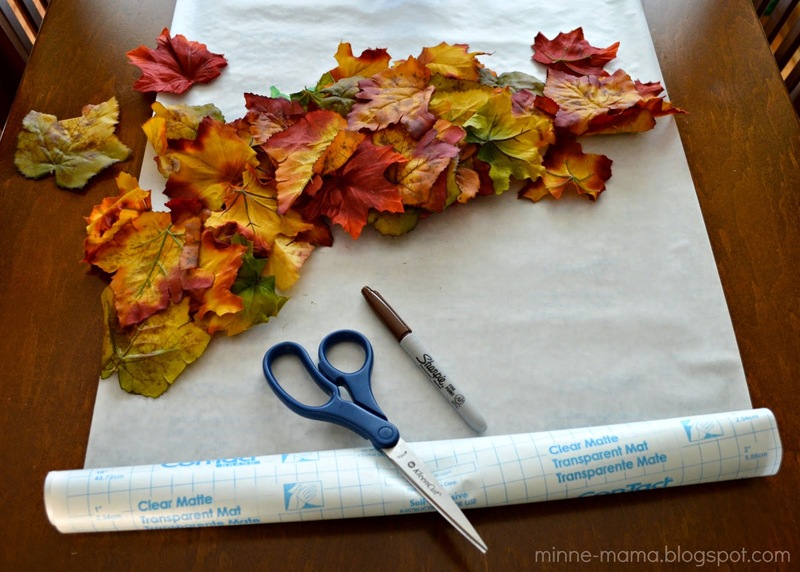 To make our contact paper tree, all I used was a piece of Contact Paper, a brown sharpie, scissors, tape, and fake fall leaves that I cut off a garland last year for our fall leaf sensory bin. 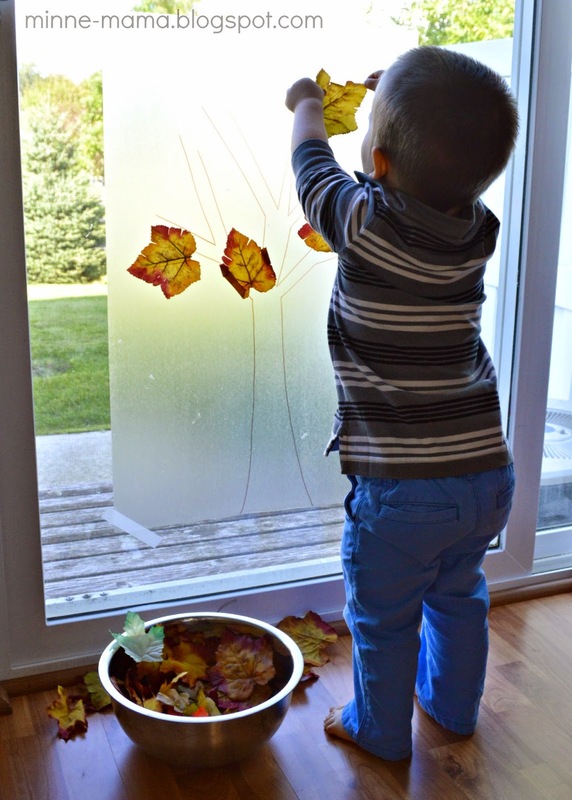 This activity is incredible simple to set up and a fun seasonal way to play and decorate! 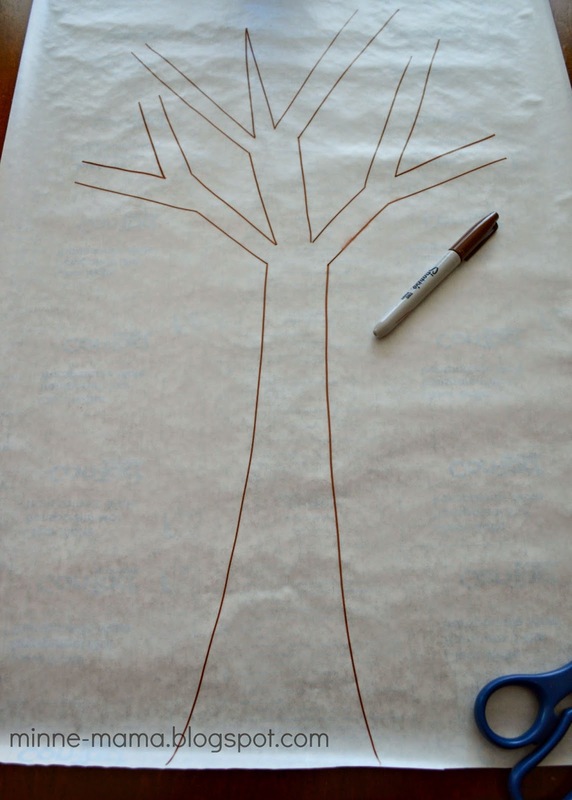 I started by drawing out the outline of a tree on the non-stick side of the contact paper. If I were to do this again, I would have colored in or painted the tree trunk and limbs. It is actually a lot easier to see when standing next to it, but it would look more festive if the tree could be more easily seen with or without leaves on it. 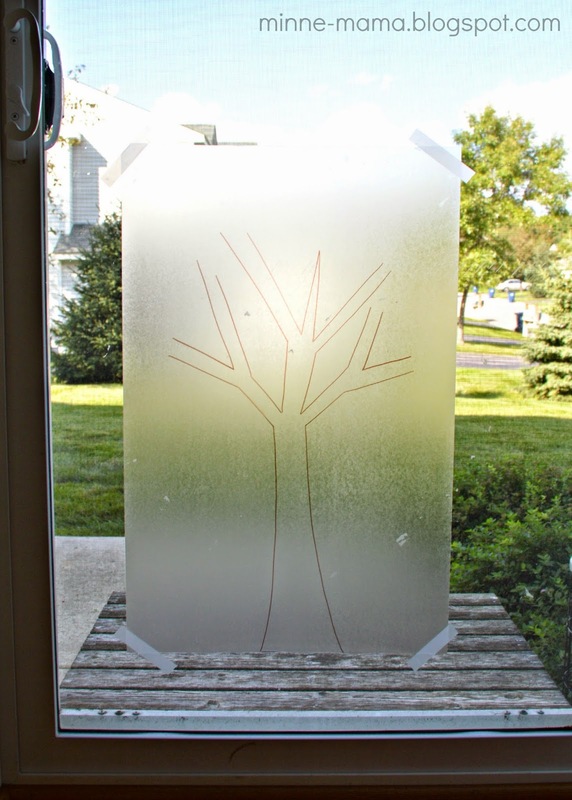 After drawing the tree I peeled off the backing of the contact paper, held the non-stick side up to our door and taped the edges with the sticky side facing out. We were ready to play just minutes after starting! 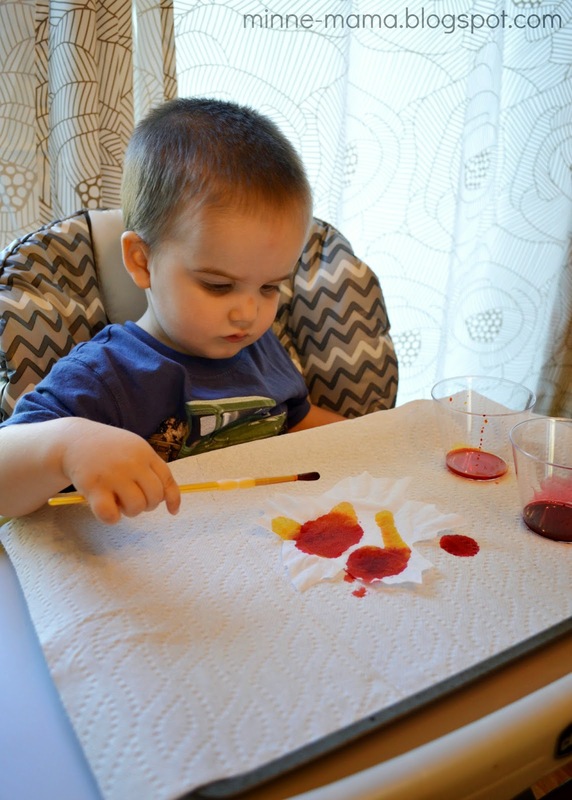 A very quick and fun activity for the last minute. I put the leaves into a bowl for Skyler and he happily started to decorate his tree. 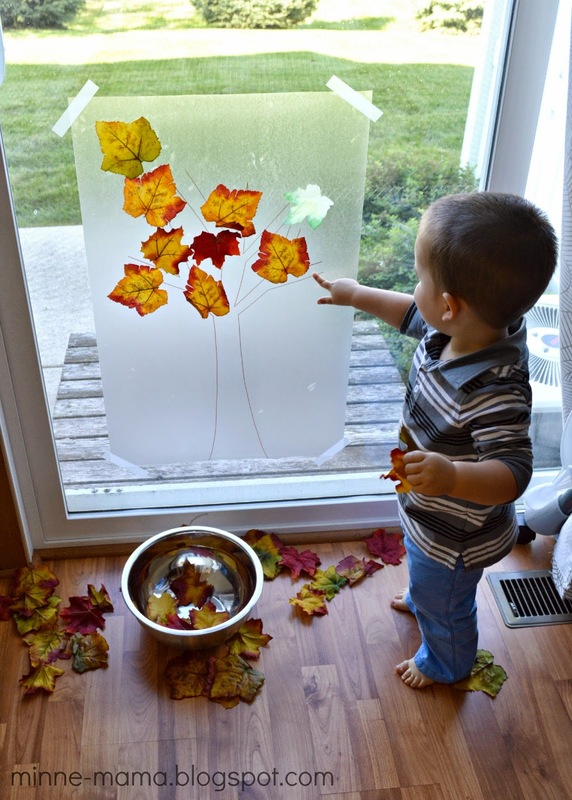 Skyler also had fun making the leaves "fall" which we haven't seen this year yet, but we talk about it when we see the changing colors! 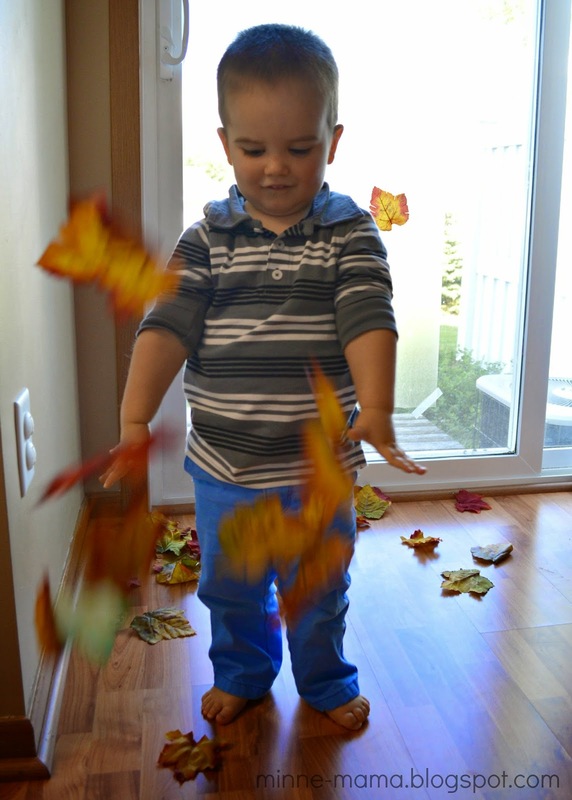 It was cool because the leaves have to be pressed down pretty well for them to stick, so as he was playing the occasional leaf would fall to the ground - just like a real fall tree. The sticky paper is fun to touch all on its own! 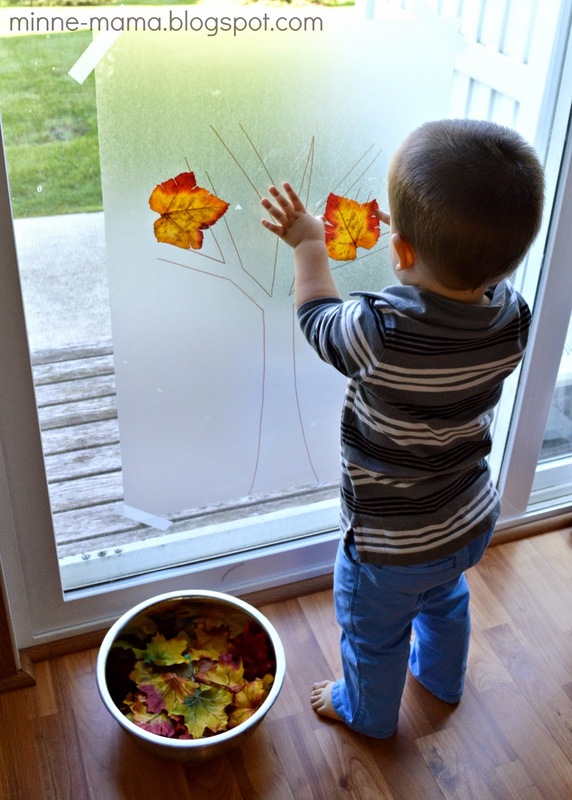 Skyler went back to the contact paper tree throughout the afternoon and enjoyed playing with the leaves on their own and with his trucks as well. The set up was a cinch and I know he will have fun with this festive decoration for many days to come. Oh my cuteness! Goes great with my "3 grows a tree" theme teaching Number 3! Thank you for your idea! Hi, I love your idea, would this paper stay on wood door?